Hylec DEDS Steel Door Enclosures provide superior robustness and longevity The Hylec DEDS enclosure housings are guaranteed against corrosion for three years and are fabricated from galvanised steel, powder-coated in grey RAL7035. 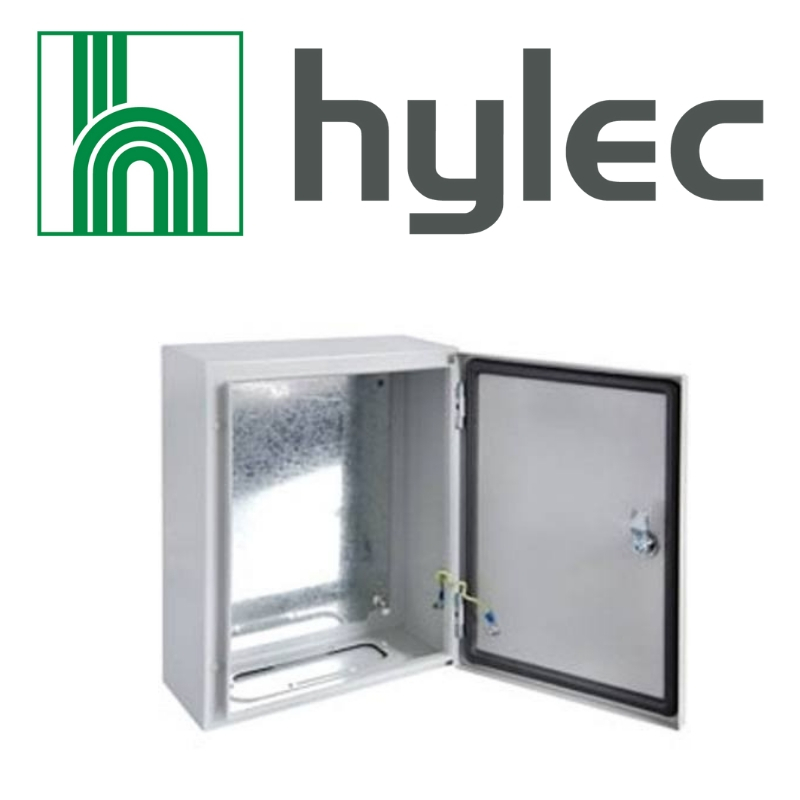 To View the Hylec DEDS Steel Door Enclosures Range please click on the below image. DEDS Series enclosures have back plates that are manufactured from 2mm galvanised steel & carry a 3-year anti-corrosion guarantee. All threaded studs on the Hylec DEDS Steel Door Enclosures are rust-proof stainless steel. As the DEDS Series is primarily designed with exterior installation in mind, the gland-plate modules for cable entry (which can be top or base mounted) are supplied with IP66-rated sealing gaskets for total protection against dust and water jets or waves. 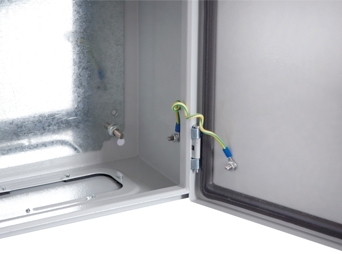 A further benefit of the DEDS Series enclosures is an earth-wired stud between the door and the housing, which saves valuable installation time. 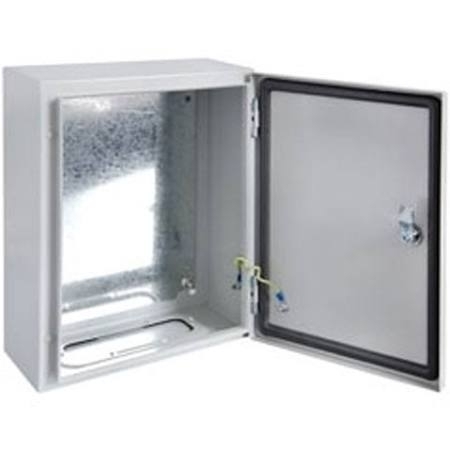 DEDS Series steel enclosures are supplied complete with lock and key and wall mounting brackets. This comprehensive range includes ten different sizes, ranging from 300mm x 200mm x 130mm to 1250mm x 600mm x 300mm.